Every time I pick a nice smooth path for my life, God seems to jerk me out of my comfort zone. I tend to gravitate towards Christianity that is…comfortable. That, however, is not the example Christ set for us. Christ was uninterested in the easy road. Instead, he made a bee-line for injustice, for people who were hurting, for the forgotten ones. Do I have to do the same thing? I’m outside my comfort zone when I talk to strangers–especially when it comes to talking about my faith. I’m outside my comfort zone when I’m surrounded by people whose values may or may not match my own. I’m outside my comfort zone when serving somebody isn’t enough — an actual relationship is called for. I’m outside my comfort zone when God prods me to dare beyond the status quo. I’m outside my comfort zone when I face the possibility of rejection. I’m outside my comfort zone when I’m in the valley of the shadow of death. The valley of the shadow of death? Yeah. I think of that as our mission field. That’s where so many hurt and lost people are living. We’re called to connect with them, scary as it may be. You get it? God establishes a comfort zone even in the most uncomfortable place imaginable. That means when we serve people, when we invite people to know about Christ, when we challenge the forces of darkness, God is there, comforting us. One day, “every valley shall be raised up”. Until then, that’s where the work of the faithful must be done. Yes, it will likely be outside your comfort zone. 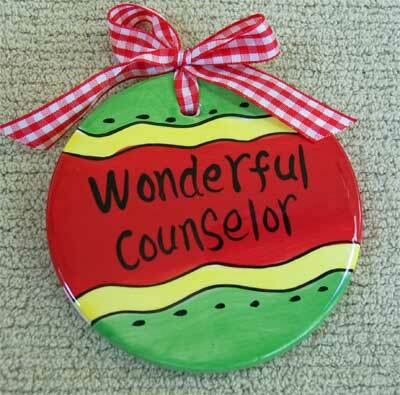 Christmas Quiz: Which of the following counts as “Wonderful Counselor”? 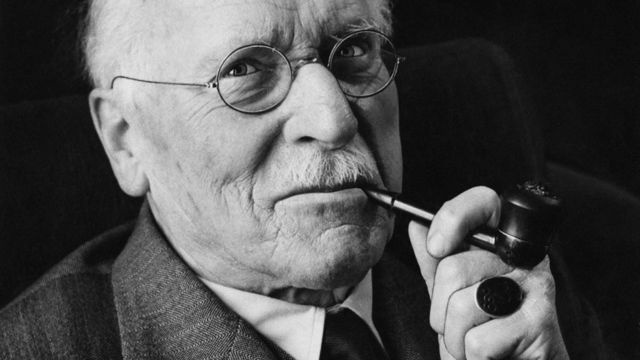 B. Carl Jung, founder of analytical pyschology. I could see why you might be tempted to say “D”. 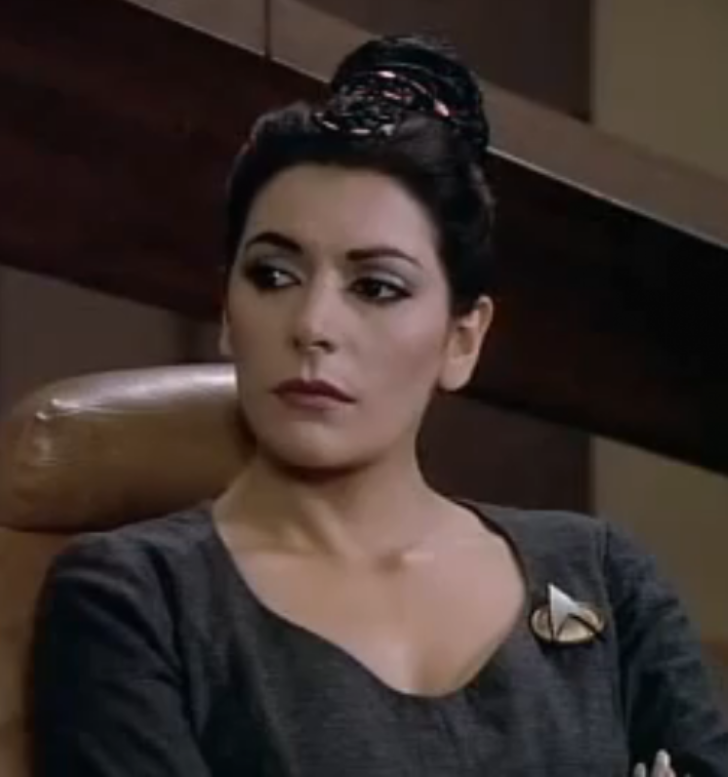 After all, Counselor Troi was a pretty valuable, if fictitious, addition to the crew of the Enterprise. And Carl Jung (very much real!) made some amazing advances to understanding and treating the mind. But of all the counselors in all the world, only Jesus can claim that phrase as a bestowed title. It’s not just a description–it’s a name! Awesome words from Isaiah. We Christians look back at those words and see them as descriptive of Jesus. There’s Prince of Peace and Mighty God, and even Everlasting Father. I can see how those all fit. But why “Wonderful Counselor?” What is that supposed to even mean? 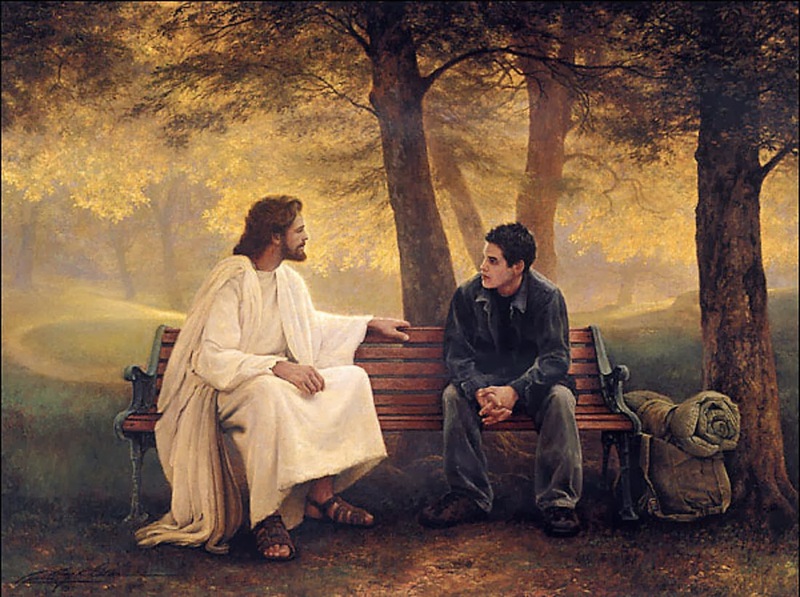 Does that mean Jesus wants us to lie down on his couch and talk about our earliest memories? Not exactly…it helps to look at the Hebrew behind the words. The word we translate as “Wonderful” is a Hebrew word, pele. It’s a word only used to talk about God. It refers to something wonder-filled, that only God can do. And the word for “Counselor” is yoetz. It means to advise, or guide. It’s less like our modern understanding of talk-therapy, and more like strategizing. Isaiah could have used all kinds of words and phrases to describe the Child who is to be born, but the Savior that he describes is the very one we desperately need. Speaking of… if you’re feeling desperate this season, seek out some help. Sit down with someone and talk it out. with the most Wonderful Counselor of all. My mom published her first novel last week. I’m so proud of her. If you’re interested (yes, this is shameless promotion) the book is called “Like Sheep” and it’s available here on Amazon . It’s a great whodunnit set in a tiny rural church back in the 80’s. I’ve read it 3 times already! This was written hundreds of years before Jesus, and yet as a Christian I can’t help but read these words and think about Christ. Typically, I think of sheep as docile and obedient, but in this scenario we’re apparently the most unruly, poorly behaved sheep you’ve ever seen. Every sheep for themselves. Not only are we unwilling to follow our shepherd, we’re unwilling to fall in step with each other. It sounds like chaos. All we like sheep have gone astray. That’s a pretty depressing view of humanity: A bunch of riotous sheep, wreaking havoc wherever we go. Actually, I can see how it fits with the characters in my mom’s book. And it’s kind of true about people in my life, too. Sometimes people are just apathetic or meek in the face of a threat. Other times, though, people can freak out. Panic. Go astray. Not on your average day, of course — on your average day we all seem to get along just fine. But when there’s a threat, a danger, a fear…well, watch us run. And after all, how many non-average days have you had to face this week? I take this passage from Isaiah as a reminder that Christ can reestablish order when things get chaotic. It’s a reminder that there is somebody willing to take some bruises for the sake of the flock. 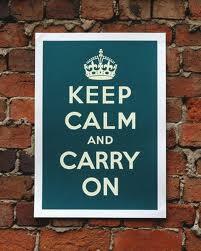 Have you seen one of these “Keep Calm And Carry On” posters before? They’re very popular lately–but their origins come from London during the war. They were designed to speak, with a royal flair, to the masses who might be facing a Nazi occupation. The posters themselves attempted to bring order in the midst of chaos, and they may have worked, for all I know. Jesus goes a step further: He helps us keep calm and carry on and leads us in the right direction.